I thought I'd share my build on the C63 Coupe Edition 507 of mine. My goal is to squeeze as much power and tq, while retaining the normal street look. Nothing too too crazy. Next, as we speak, my car is getting done the Weistec Transmission Build at Eurocharged Canada. Hoping to do race cams next, but we'll see as the $$$$$$ rolls in. P.S. The dyno run was on the EC dyno dynamics version. I have yet to test her on their new dynojet. Last edited by the_indian_kid; 10-02-2016 at 04:40 PM. Sounds like a beast... good #'s. Did you dyno before/after with the p&p heads? Yes, I believe my dyno run with ecu tune, and longtube headers showed around 430-440 whp (can't remember now). I think he was asking what the P&P heads dynoed gains were. I'm guessing 10whp? Odd choice to do those at your stage versus some other easier and better bang-for-the-buck mods. Any reason for that - did the heads have to come off anyway for something? Nice build! Have you hit the drag strip at all? The gains were roughly 40 whp. But then agin..it was done on a dyno dynamics dyno. Yes at the track I've done 12.1 at 198 kph. I have yet to test the car out with P&P. I ran normal summer tires and being a newbie, had a bad reaction time when I ha headers and ecu tune only. You should come to st thomas this friday. It's a private rental. Hopefully the weather holds up. oh I'd love to. I just moved to sioux lookout for work (middle of no where)..it'll be a while till i can do car things....bleh. Ok. Maybe English isn't your language, or I'm not explaining well enough? The questions meant to ask: WHAT WERE THE HP GAIN FROM THE P&P ALONE, BY ITSELF, ONLY THE P&P, NOT ANYTHING ELSE, NOT EVERYTHING COMBINED, DID YOU DYNO BEFORE AND AFTER THE P&P TO DETERMINE WHAT THE GAINS WERE FROM THE P&P ALONE ALL BY ITSELF. PP won't make much of a difference unless less heads don't flow well but will move the power band to the left. There is zero way that P&P makes 40whp. That's why I clarified because clearly he was talking about overall gains from everything, and not answering the two people who asked if he had dynoed the gains from the P&P alone. Whatever I stopped caring about an hour ago forget it. 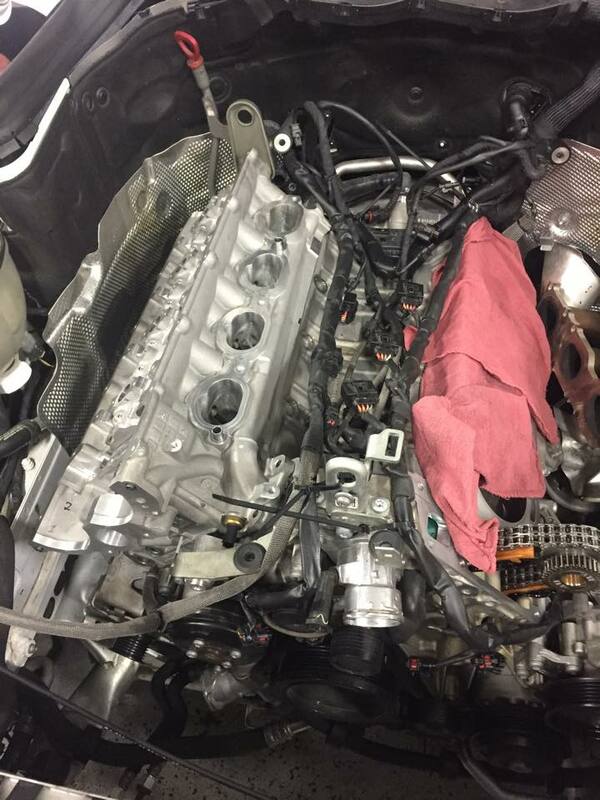 Did the ported heads make a difference in power? He made 40+WHP with the Port and Polish alone. 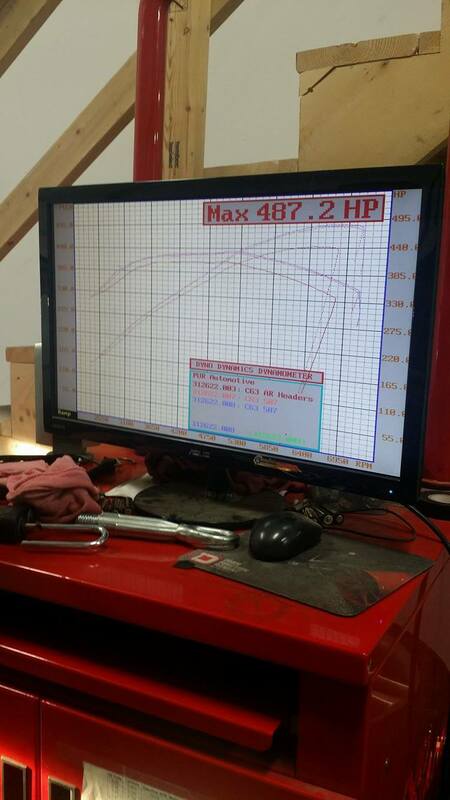 This is on Eurocharged Canada's Dyno. Same dyno I ran all my base lines and subsequent dyno's. Its legit. I'm not sure how someone can say 40WHP is impossible to make when they have not had any experience with it on the M156. The numbers are legit. Right. Okay. 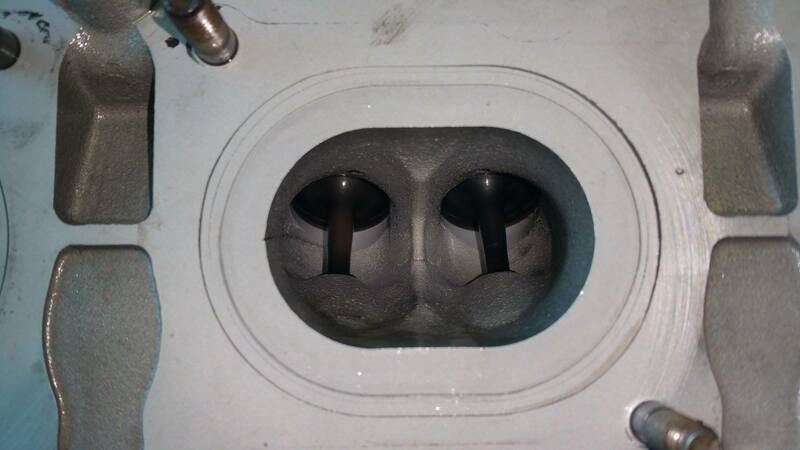 Find me another instance on another NA engine - any engine - where a light port and polish (because that's what it looks like, a minor polish and port matching) like that makes even half what this guy claims to have made. Just one instance. I mean, comeon, please, just read up on this stuff. With an otherwise stock internaled engine (cams, valves, etc), ported and polished heads are just not going to make a lot of power. We already know the heads flow enough for well over 900hp, what benefit is this going to give on someone not even pushing 550? 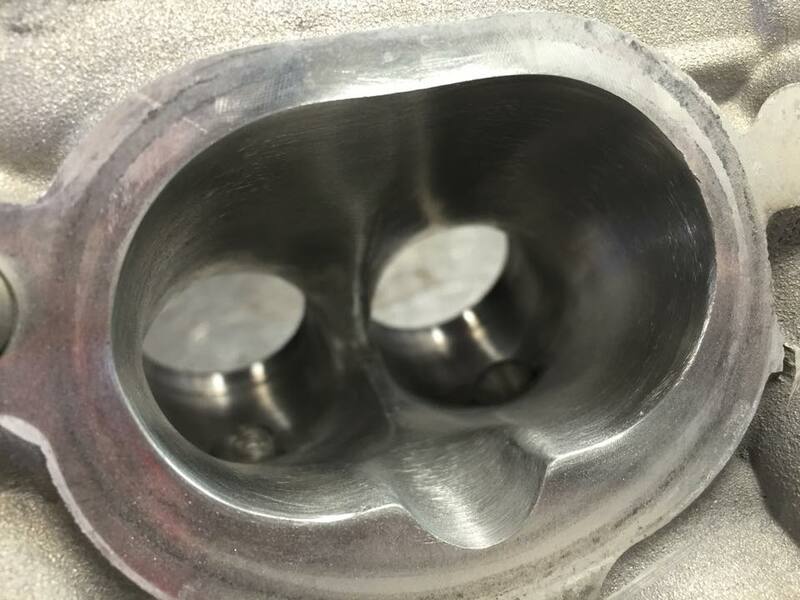 AMG heads are known to already flow pretty damn well. If the dyno wasn't done on the same day, same conditions, same mods as before, then I call rubbish. Maybe I'm a little wrong, but I'm not completely. 10whp even 15whp I'd believe. Not 40. Not ever. Last edited by BLKROKT; 10-03-2016 at 02:16 PM. IIRC Dads made about 20 whp with the MHP heads and cams. Last edited by chrisridebike8; 10-03-2016 at 02:07 PM. The car pulled 462/415 yesterday in the horrible very heavy air so I am satisfied. That looks like about 7whp if he was at 455 before. According to their posts they are SAE corrected numbers (although there was some additional variance of +/-5% from run to run possibly due to operator error). 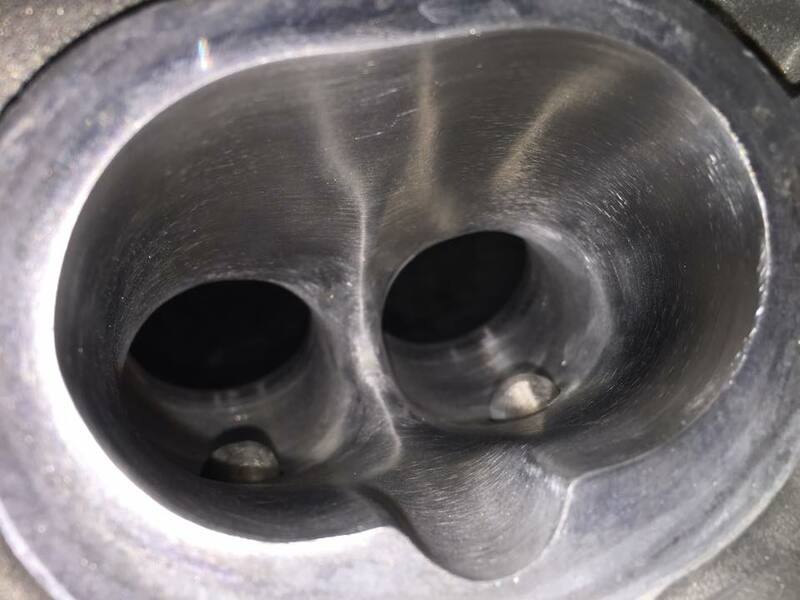 Even the very best case scenario with the MHP "race" ported heads, they "think" they might have been good for about 20whp (impossible to tell exactly as there were other changes made as well). And that's on the most heavily modified (i.e. 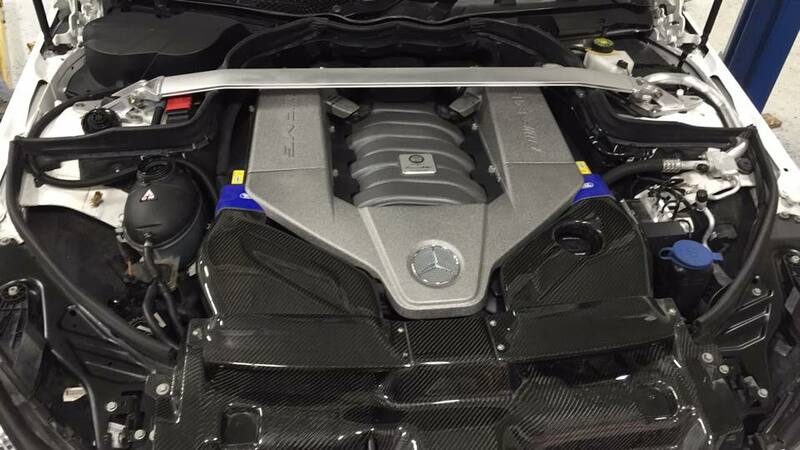 the highest flowing, which means it would see the most benefit from this) NA C63 there has ever been. Last edited by BLKROKT; 10-03-2016 at 02:32 PM. Blkrokt, you're beating a dead horse man. The OP is simply sharing his build no need to try to discredit him. I don't mean to discredit anyone here - it's not personal. It's just that dyno numbers are thrown around here so flippantly lately, with everyone chasing numbers, and when one of them doesn't make sense I question why. I'm a customer of EC also, so I have no interest in making them look bad either. I think I'm an equal-opportunity questioner. My point is that if ported and polished heads actually produced 40whp, I (among others)would be sending my heads out for it this afternoon. And as far as I can tell, very few have. Including the high hp guys. Even Kriston who is chasing the 500whp mark in his NA car hasn't done it. And he's demonstrated that he's pretty determined to hit that mark by whatever means necessary. No offense meant at all to the OP, I'm just curious why these results are so abnormally high. Last edited by BLKROKT; 10-03-2016 at 03:32 PM.